Hello, crafty friends! Leslie here to announce the Winner and Top 3 from last month’s “Monochrome” challenge. A huge THANKS to everyone who participated – we sure enjoyed perusing those gorgeous entries! 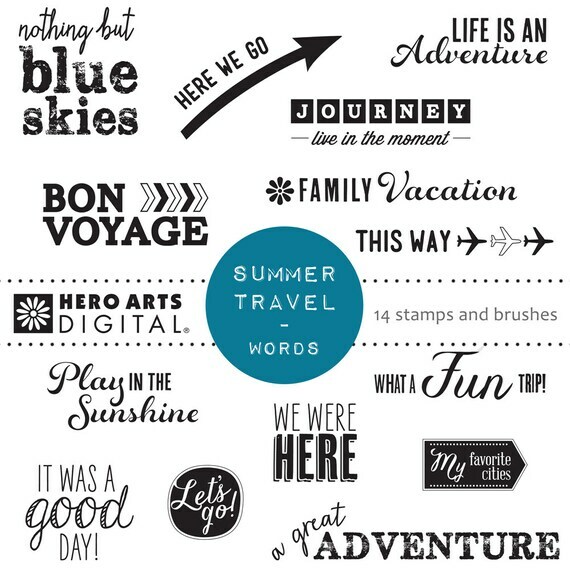 You’ll remember the prize up for grabs was the Hero Arts Summer Travel Words! Congrats, Gail! Please email us at a2zscrapping@gmx.com to receive your digital kit and your winner’s badge! Categories: Handmade Cards, winners | Tags: Monochrome | Permalink. Hi everyone! Here’s to a new month! And that means a new challenge here at a2z Scrapbooking Blog! Our challenge this month is Birthday Bash and we’d love to see your birthday project! As you know, we’ve changed our rules a bit and participants are no longer required to use Hero Arts products to enter our challenges. 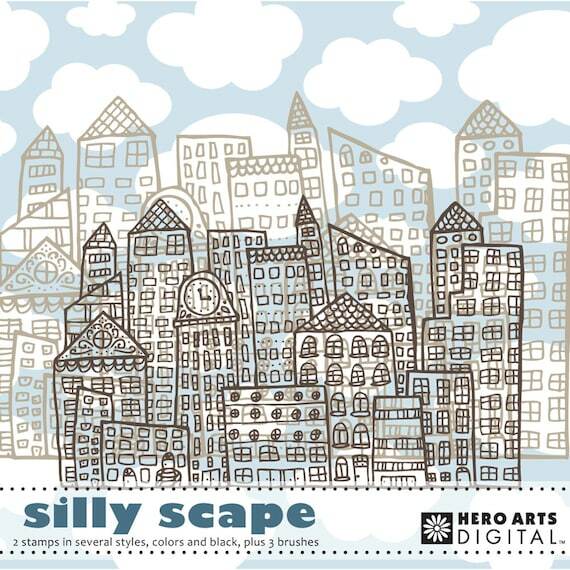 Each month we feature a ‘Digi of the Month’ which will be the prize offered to our randomly-chosen challenge winner, and this month it is Hero Arts Silly Scape! Categories: Challenges, Handmade Cards, Hero Arts | Tags: Birthday Bash | Permalink. Hello, crafty friends! Leslie here to announce the Winner and Top 3 from last month’s “Shape Shift” challenge. A huge THANKS to everyone who participated – we sure enjoyed perusing those gorgeous entries! You’ll remember the prize up for grabs was the Hero Arts Notes and Dates! Congrats, Carol! Please email us at a2zscrapping@gmx.com to receive your digital kit and your winner’s badge! AND we’d like to announce the Sugartree Stamps Blog Hop Winner! The winner from the Sugartree Stamps new release blog hop has been chosen… drum roll please… From Arlene’s blog, CONGRATS to Lisa Stolp! You’ve won your choice of 3 digis from Sugartree Stamps! Okay, that’s it for today! Thanks again to all for playing in our challenge last month, and thanks for stopping by! Categories: Handmade Cards, winners | Tags: Shape Shift | Permalink. Hi everyone! Here’s to a new month! And that means a new challenge here at a2z Scrapbooking Blog! Our challenge this month is “Monochrome” and we’d love to see your project using various shades of one color – any color! As you know, we’ve changed our rules a bit and participants are no longer required to use Hero Arts products to enter our challenges. Each month we feature a ‘Digi of the Month’ which will be the prize offered to our randomly-chosen challenge winner, and this month it is Hero Arts Summer Travel Words! Categories: Challenges, Handmade Cards, Hero Arts | Tags: Monochrome | Permalink. Hi everyone! Here’s to a new month! And that means a new challenge here at a2z Scrapbooking Blog! Our challenge this month is “Shape Shift” and we’d love to see your SHAPED project – shaped card, shaped layout or 3-D project! No run-of-the-mill squares or rectangles this time! Let’s see what you got! As you know, we’ve changed our rules a bit and participants are no longer required to use Hero Arts products to enter our challenges. Each month we feature a ‘Digi of the Month’ which will be the prize offered to our randomly-chosen challenge winner, and this month it is Hero Arts Notes and Dates! 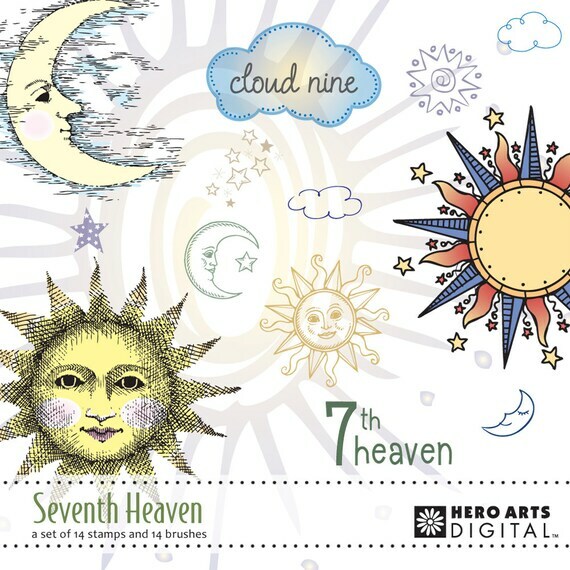 And to sweeten the pot, if you are the randomly-chosen winner and you have used Hero Arts or Sugartree Stamps products on your project, you’ll ALSO win a $20 gift certificate to the store! The Winner and Top 3 will be announced on the 7th of this month!